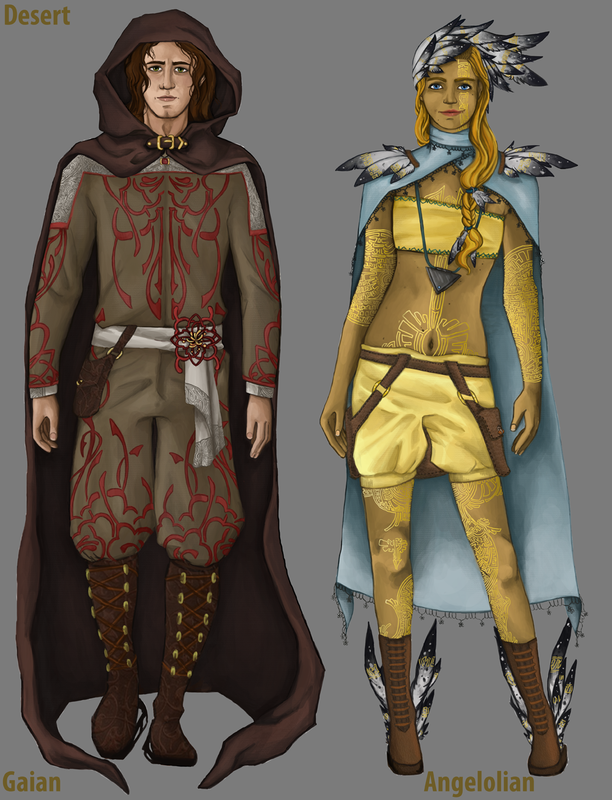 "Culture, Fashion & Spirituality in Fantasy Character Design" Awarded Class 2 Division 1 Honours in Computer Arts 2013. 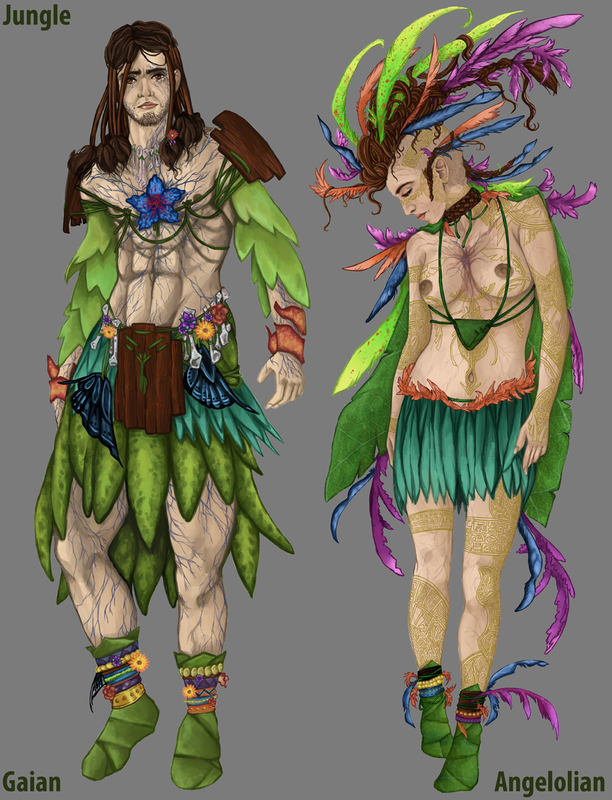 Brief Description: Gaian (pantheism, wildlife totemization and neopaganism) Angelolian (Abrahamic religions). Fashion and cultural differences, still applying rules of faith to the above. In a fantasy setting. e.g. 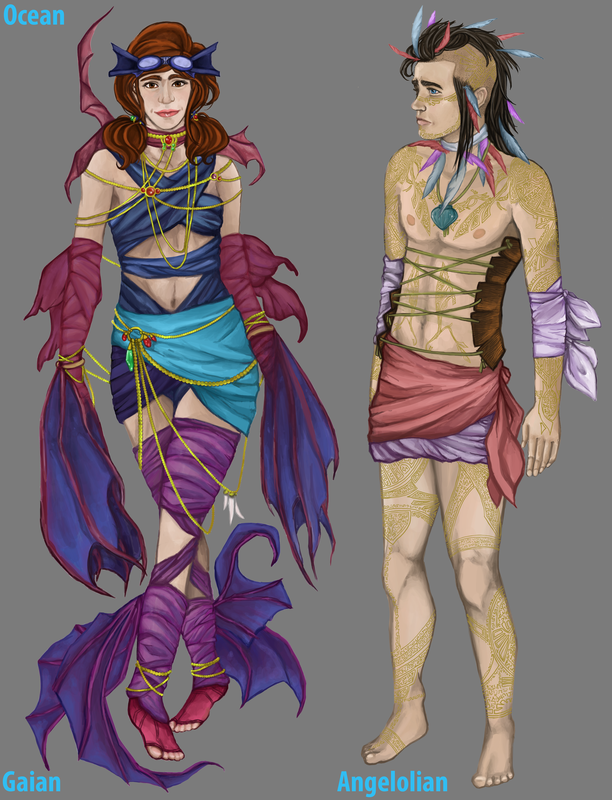 Angelolian pride on showing off their flesh, covered in scripts, but it is found shameful to display a bare back.